Pictured, California woman, Lelia Gonzalez involved in the fatal hit and run crash of pedestrian, Angelina Calderon Pinedo. Police bookings. 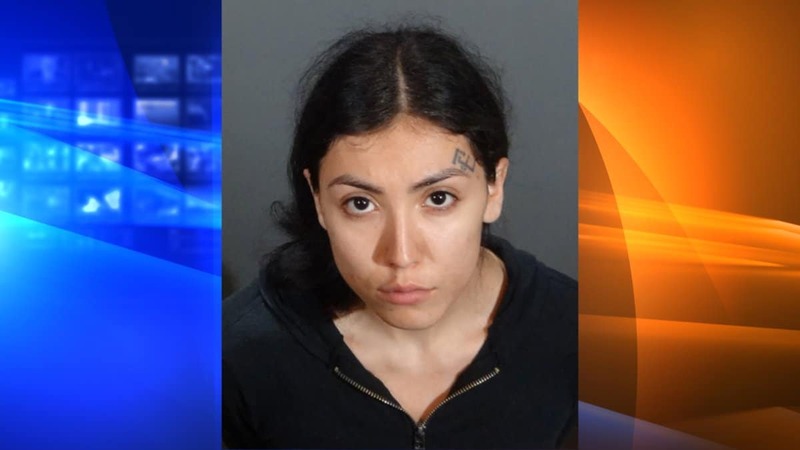 California woman, Lelia Gonzalez arrested in the hit and run crash victim, Angelina Calderon Pinedo who was dragged 100 yards and left to die. 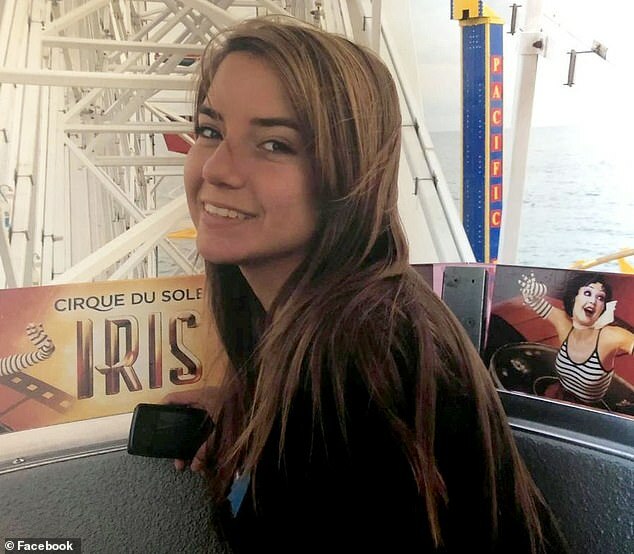 A 21-year-old California woman has been arrested after allegedly fleeing the scene of a hit and run crash that killed a college student as she was walking with her two older sisters Saturday night. Leila Gonzalez of Bell, admitted she was driving the car that killed 21-year-old Angelina Calderon Pinedo in Redondo Beach, police said. The student was crossing the street on a crosswalk in the 1600 block of Aviation Boulevard near Grant Avenue at around 9pm when a black Audi Q5 SUV mowed her down and sped off, according to the Redondo Beach Police Department. Witnesses told KTLA that Pinedo was dragged several hundred feet and that at one point, the driver of the Audio briefly emerged from the vehicle, only to get back in and drive off without helping the victim. She was pronounced dead from her injuries at the scene. Two of Pinedo’s five older siblings were with her when the fatal crash occurred. Police said they located the vehicle involved in the crash on Sunday morning in a residential area located a short distance away from the collision scene. Gonzalez was booked into the Redondo Beach jail on a felony hit-and-run resulting in injury/death charge, with bail set at $50,000. She’s due back in court on Wednesday, January 30. Pinedo was a junior at San Francisco State University majoring in business marketing. Her dream was to become a social worker and help children. According to her family, the 21-year-old had attended a going away party earlier in the day on Saturday. 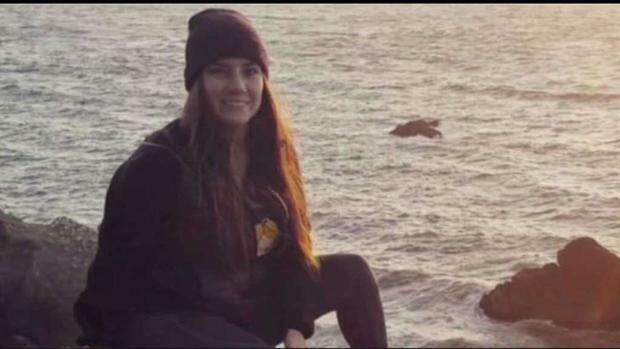 At the time of her death, she was on her way to her sister Michele’s house in Redondo Beach to pick up her belongings because she was set to return to school after spending winter break with her relatives, reported KCAL. Michelle was walking a few steps ahead and Angelina was on a crosswalk with her other sister Martha when the SUV struck the college student. ‘My baby sister had the most amazing soul, and I wouldn’t be surprised if she were here telling me to forgive that person,’ said Martha. A GoFundMe campaign has been launched to help the Pinedo family with Angelina’s final expenses with a target of $20,000. Police are still investigating, and anyone with information about is asked to contact Clint Daniel by calling 310-379-2477, ext. 2721, or via email at clint.daniel@Redondo.org. Anonymous tips can also be submitted through L.A. Regional Crime Stoppers by dialing 800-222-8477.